ZANU PF is anxious about MDC Alliance presidential candidate Nelson Chamisa challenging President Emmerson Mnangagwa’s election victory, but will be patient to allow for the matter to be decided by the courts, a senior official said yesterday. Mnangagwa’s inauguration had been scheduled for today before Chamisa’s filed a petition at the Constitutional Court on Friday challenging his victory. Engelbert Rugeje, the Zanu PF commissar, told The Standard that his party would respect the outcome of the courts. “We will abide by the provisions of the constitution and there is nothing that we can do although there is a lot of anxiety because our members and supporters were expecting that the inauguration was going to be done [today],” he said. Rugeje said Zanu PF would accept any outcome from the Constitutional Court case. He dismissed reports that the ruling party was angling for a unity government with the opposition. “We will not accept a scenario where we are going into a [government of national unity] when we already have a majority,” Rugeje said. However, Rugeje evaded questions about the clampdown against opposition leaders and supporters after the July 30 elections allegedly being spearheaded by the military. “We have urged our supporters to maintain the peace that they maintained during the campaign period and they are abiding by that advice, “he said. 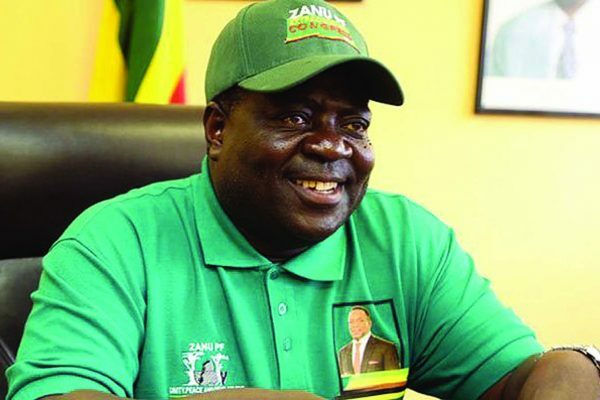 Rugeje urged Zanu PF supporters to turn up in large numbers at Heroes Day and Defence Forces Day celebrations between tomorrow and Tuesday, saying reports that the festivities had been cancelled were false.